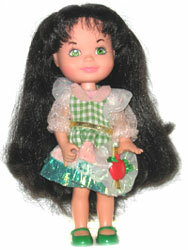 "Sashays - lovely scented fashion dolls that go straight to a little girl's heart!" 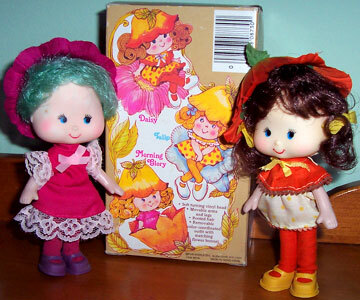 Sashays were produced by Galoob in 1986. 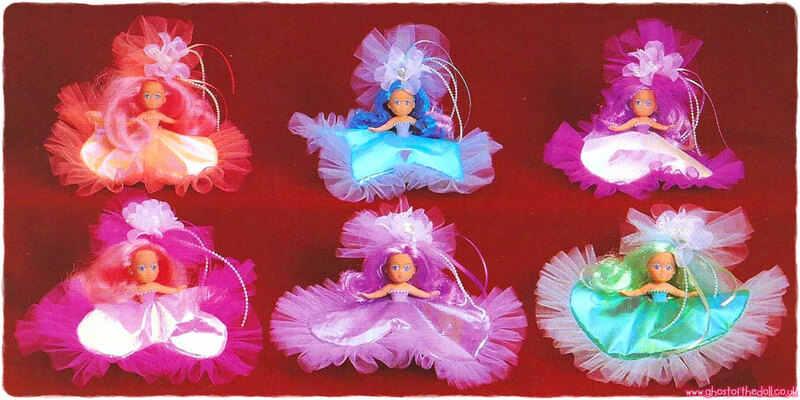 They were a series of twenty four small scented dolls with large, lacey skirts. They are a little known series, in fact this may be the only site with information on them! View all Sashays on eBay.com or eBay.co.uk ! 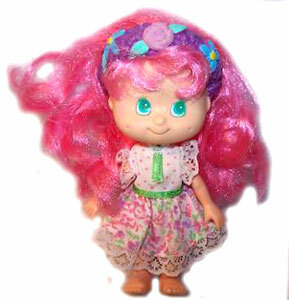 "Sashays are a delightful combination of fashion doll, hair play, and wonderful scents for little girls. What's her favourite scent? Roses? Lilacs? Orange blossoms? 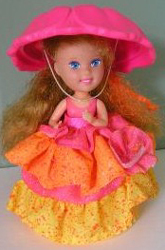 She can have them all in a delicious potpourri of scented fashion dolls. 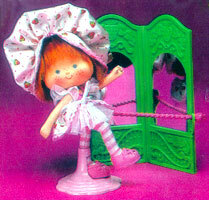 Imagine the fun of collecting her own gardenful of special "scentsible" play! 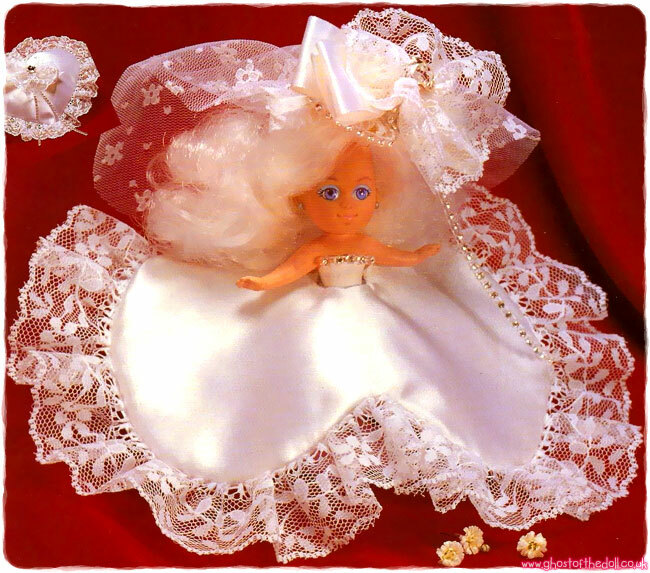 There are 24 dolls in all, each with removable pillow skirt, delicate lace slip, comb, lock of hair, hair ribbon, and a lacy hair accessory. 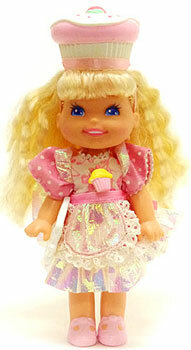 Style her lovely hair, dress her in a beautiful scented gown, take her to the ball. Then let her rest in her own beautiful pillow/skirt bed. Sweet dreams, little Sashay - 'til it's time to play!" 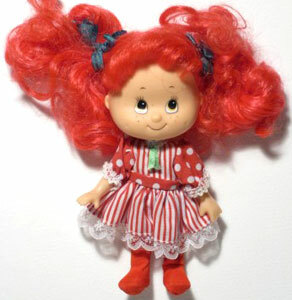 There were 24 dolls produced in 4 different sets of 6 dolls. 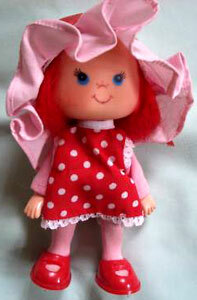 Each on came with removable skirt/pillow, lace slip, comb, lock of hair, ribbon and lacy hair accessory. 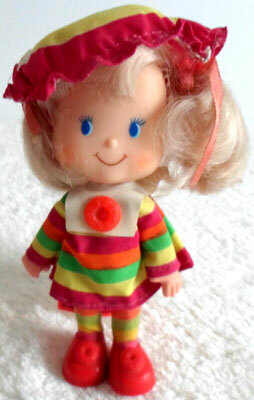 Each doll also came with a small heart-shaped pink stand which their feet could fit into. "Country girls have charming scents, too. Dressed in country prints, they're all ready for a hayride or a Saturday night barn dance. 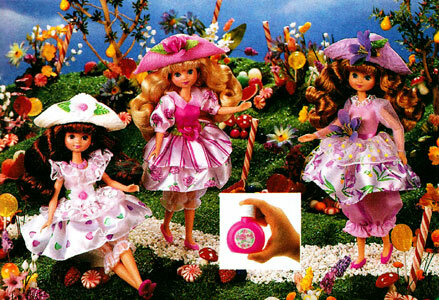 Little girls love the delicate prints and lacy accessories of these delightfully scented dolls." 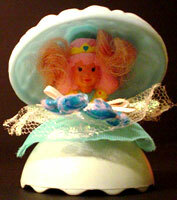 "All gossamer and shimmery, just like her favourite fairy tale princess! And best of all, they smell just the way she imagined a fairy tale princess would smell - just wonderful!" "It's party time for this collection of Sashays. All dressed up in metallic shine, they'll create quite a "scentsation" for a little girl's imagination." "The bride in white satin and five beautiful satin bridesmaids. The perfect scented wedding party! And when they're not sashaying down the aisle, they nap on a little girl's bed, perfuming the room with the sweetest smells."